It’s been snowing here in Michigan since noon yesterday, so I decided to wear trail shoes for my run this morning. I parked at Potter Park and did 3-miles out-and-back on the Lansing River Walk, which took me right to the edge of the MSU campus. The snow on the greenway was ankle-deep in places, but my traction was really good with the Saucony Peregrine trail shoes. It was a really beautiful route by the river, and my legs felt good considering the 14-mile run yesterday. 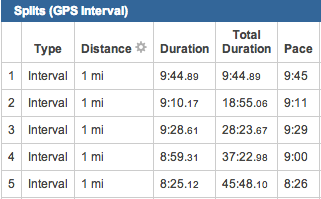 The running was slow in places with the snow, but I still managed to get in just over 6-miles at around 9-min pace. Today’s run was a little bit slippery with all of the snow and ice here in Michigan. I almost fell 3 times, but thankfully only actually fell 1 time. Luckily I escaped any significant consequences, coming away with only a couple of bruises. Otherwise it was a really good run. I started out at our hotel with a 2.5-mile loop through a residential area, and then ran 5.5-miles down Saginaw Highway to the Grand River in downtown Lansing. Olivia drove out and met me at one of the trailheads for the Lansing River Walk. From there we ran just under an hour out and back on the River Walk, which was a much better route than the 5.5-miles down Saginaw. In total I finished just over 14-miles for the day, and felt really good throughout. It didn’t seem possible back in September, when I was on the shelf with a femoral stress fracture, but today I crossed the 2000-mile threshold for 2012. Not sure what this means in the grand scheme of things, but it still feels pretty cool. I haven’t had many run related posts recently, but things have continued to go well in my training for the 2013 Rock n’ Roll NOLA Marathon in February. Today was one of those days where you know you’re a real runner with wind, sleet, and snow pounding you in the face throughout. Even so, Nathan and I still cranked out a good 7-miles through Belle Meade. By far the highlight of the past couple of weeks was participating in the 26.4.26 run last Saturday in honor of the victims of the Newtown tragedy. The course was a 6.5-mile loop, and runners could choose to run it once or up to four times for a total of 26 miles for the 26 victims at Sandy Hook Elementary. My longest run since coming back from the stress fracture had been 17-miles on Dec 8th, so I was definitely not trained to run 26-miles. However, on the Thursday before the event I decided I was gonna give it a shot. It wasn’t easy, but little Grace and I made it all the way through 4 loops. 26.38 miles completed in 3 hours and 43 minutes. I faded a bit in the last of the 4 loops but I was determined I wasn’t going to walk a step. 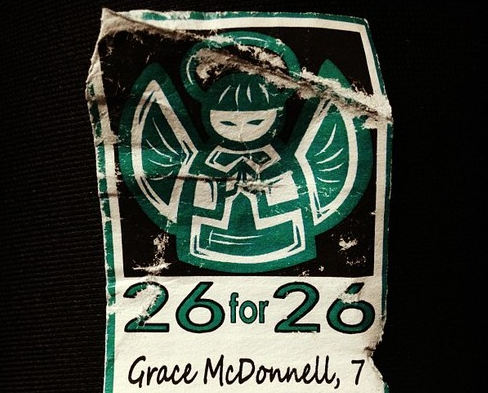 I thought a lot that day about Grace and the 25 other precious souls that lost their lives. I’m proud of the city of Nashville and our awesome running community for supporting this effort in such an overwhelming way. 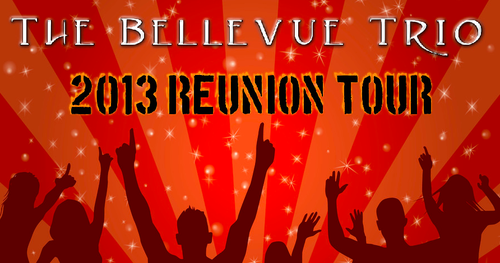 It was awesome to be a part of it. I found out later that the entire thing was born of out a text message that was sent from one friend to another suggesting a group run the following Saturday of 26-miles to honor the victims. After that it was posted on Facebook, and they ended up with 1,012 runners, and many, many volunteers. Hope everyone else out there is doing well with their running, and enjoying the Christmas Season! I don’t think I’ve posted a running update for the past two weeks, but I’ve continued to slowly build my mileage back up as I train for the Rock n’ Roll NOLA Marathon. I’m feeling really good, and my speed and endurance are coming back waaaaay quicker than I anticipated. Here are a few of the highlights from the past two weeks. Starting a week ago Tuesday (and continuing this Tuesday), I put tempo workouts back into my training schedule for the first time since coming back from the injury. Last week Nathan and I did a 20-minute warmup, 20-minutes at 7:10 pace (just below goal marathon pace), and a 20-minute cool-down. The tempo segment was tougher than I expected, but I guess I should not have been surprised since I was only two days removed from my longest run in 14-weeks. This week we did a 20-minute warmup, then 6 x 4-min tempo (with 1-min active recovery), and a 20-minute cool-down. 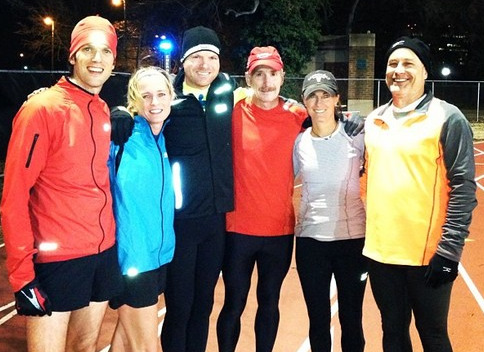 The goal for the tempo section was to run at a pace between 6:50 and 7:00. For 4 of the 6 we ended up running at faster than goal pace (6:30s and 6:40s), 1 was right on target, and 1 was a touch slow. Overall though it was a good, tough workout. In peak condition I would run my 800m “fresh” intervals around 2:50 to 2:55, and during this workout my two splits were 3:00 and 2:57. 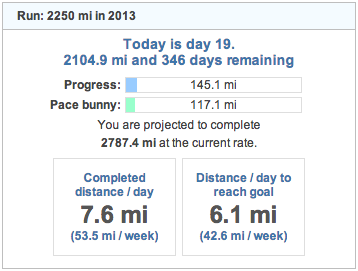 Just a touch slower than at my peak, but still much further along than I thought I would be at this point. Two weeks ago today I completed a 15-mile run, which was my longest run since returning to running. 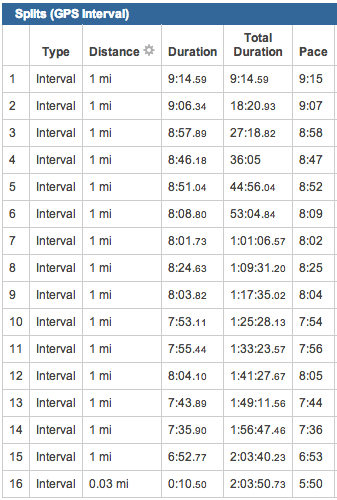 My plan during marathon training is to only increase my long run mileage every other week. With that in mind, last week I had a very enjoyable 14.4-mile run with our group on Old Natchez and Moran roads in Franklin. This was a beautiful morning for a run, and the pace was a bit more chill than my 15-miler the previous Saturday. Today I completed a 17-mile run on a gloomy, yet warm and humid, day in Brentwood. The planned group run was for 3 different loops totaling 14 to 15 miles. Since I wanted at least 17, Nathan and I started a bit early and got in 3 before the group arrived. I felt, really, really good for the first 14 or so miles, but my legs started feeling pretty fatigued as I passed my previous long of 15-miles. Part of this had to do with the middle loop of the group run, which was quite hilly, and Nathan and I also picked up the pace a bit. 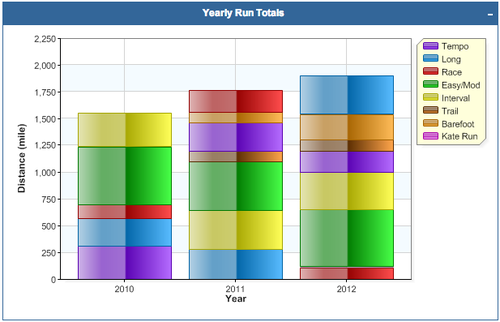 Also, with this run in the books, my total mileage for 2012 is exactly 1,900 miles completed. I’ve still got a shot at reaching my goal of 2,000, but it’s gonna be close! Today I felt like my “Return to Running” program un-officially ended. While I haven’t been on the specific plan in a couple of weeks, I’ve still been very conservative with my mileage and pace, taking frequent walk breaks, and not running more than 3 or 4 consecutive days without a break. This has led to my “training” feeling slightly abnormal. Well, this morning was the first run since the injury that felt like a normal long run with our group. The plan was for a 10 to 12-mile run in Belle Meade, but Nathan and I met a little early and got in 3.5-miles before the rest of the group arrived. During this warmup, we did a 10/1 run/walk ratio, but after this I completed the remainder of the run in 30 to 40-minute segments, only stopping briefly for fluid breaks. 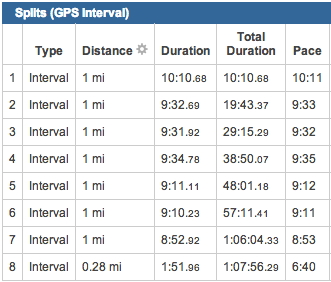 The thing that felt so great about this run was that I had the energy to maintain the faster pace in the later miles. The last few days I’ve been thinking a lot about getting into a long run schedule for the Rock n’ Roll NOLA Marathon, and worried about having the endurance and energy to get where I want to be by race day at the end of February. Today, those fears subsided significantly since a solid 15-miler puts me right where I need to be for the more intense training in December and January. A big thanks to Nathan, Andy, Tyler, and Robert for pushing and pacing me to my best, post-injury training run! It feels good to be back.